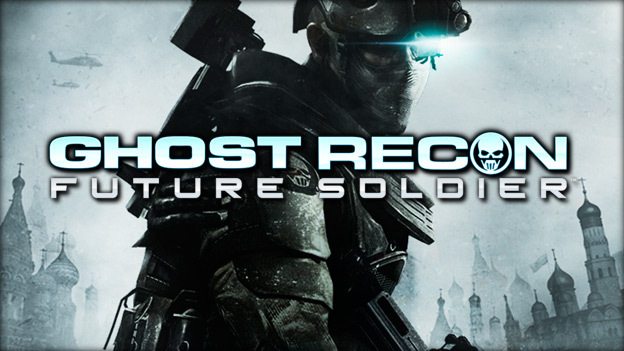 The video game market is saturated with modern shooters, so sometimes it can be hard to feel enthusiastic about a third person shooter like ‘Ghost Recon Future Soldier’ where, just like in countless other games, your job is to save the world from the nasty Russian terrorists. Thankfully there is enough content here to encourage you to forget about the shortcomings of the storyline and instead aim your sights on simply having fun. It would be easy to shrug off the single player campaign as, “just another third person Call of Duty clone,” but there’s a lot more to it than that. Yes, you play as part of a unique special ops team and are tasked with bringing down a terrorist organisation. But that is where the lack of originality begins and ends. Ghost Recon’s focus is on gameplay, and it brings spades of freshness to that department. For most of the campaign you will be fighting alongside three other soldiers (Ghosts) and you have the ability to tell them what to do; you will not be able to tell them where to move to but you can give orders on whom to shoot. They will then do their best to get to a position where they can take out the target silently. If you do this right then you can clear whole sections of the game without a single bullet being thrown your way. To help you accomplish this rewarding synchronised killing are an array of gadgets: you can use a drone to mark enemies from the sky; throw a sensor amongst the enemy to automatically highlight your targets or just go invisible and try to slip by unseen. Even gamers who would usually run into the fray with a knife between their teeth and an AK-47 blazing at their side will probably find themselves trying to wipe out enemy forces as silently as possible, because not only is it satisfying but it makes the game easier too. That said though, you will undoubtedly find yourself pinned down in cover with all kinds of nasty so-and-sos trying to kill you, the balance of these two manners of gameplay is balanced throughout the entire campaign which helps keep the boredom at bay and thankfully the cover-based shooting is nearly as fine-tuned as the sneaking. Enemy AI will try to flank you and if your squad are not laying down enough fire then they will succeed. You have to keep moving, shooting and watching your back – and sometimes other peoples’. In a few missions you will find yourself in an on-rails hostage protection moment where you can look around and shoot but you cannot choose where you move to. They provide some good set-pieces to the game but they do not work as well in co-operative play. Which is something I would recommend trying out, as most games are made better with co-operative play and Ghost Recon Future Soldier is no exception. The level of communication you will find yourself upholding is mind-blowing, just ten minutes into the campaign with three other friends and you will feel like an honest to God soldier. It helps that the game is great visually; apart from open areas where antialiasing is in need of an upgrade, the environments’ realism will help add to your immersion. As will the stellar ambient audio. Play with headphones and you will feel like you can hear every drop of rain hit, the detail in the sound department is jaw dropping. Unfortunately no game is perfect and the singleplayer alone has its drawbacks. Perhaps the largest of all is that the game tells you when all the enemies in an area are dead. Any suspense that was built up in the gunfight is immediately dissipated when you no longer feel that you have to search the rooms of a house, or the corners of a forest. It is a shame because the environments are just about large enough to make you feel like you can explore but any need to is taken away at the end of every battle. Similarly, the weapon customisation options do not live up to their potential; at first you may be impressed by the 20 million unique combinations, but then you will realise that attachments make little difference your effectiveness in combat. Even on the harder difficulties you will be able to succeed with any weapon. The only option you will need to double check before the start of a mission is what trigger your gun has. For some reason, future gun technology has gone backwards. You cannot take off silencers in battle or even change fire mode on your gun. If you choose a single shot trigger for your assault rifle then you will be stuck like that until the next mission or until you pick up another gun. Forgive me if I say this is ridiculously short sighted, especially in a game set in the future. Naturally, like most other games from this generation of consoles, there are a couple of different modes to add to the longevity of the title. Guerrilla mode will see you fighting up to 50 waves of increasingly difficult advisories with up to four co-operative partners, and multiplayer will allow twelve players to play competitively on ten maps. The multiplayer does nothing ground breaking but there are enough game modes to keep the average player occupied for a good few hours and there is even one mode where respawns are turned off. It is no SOCOM though and most games just turn into a camping competition, so bring a tent. Ghost Recon Future Soldier is full to the rim of content and none of it is inherently bad. Most will buy it for the single player campaign though, and it is certainly worth your time if you can see passed the less-than-gripping story – especially if you have the opportunity to share the experience with three of your friends. If you are on the market for a great co-operative game and a very satisfying gameplay experience then this might be the perfect opportunity to see a new take on the modern shooter genre. Broadcast journalist and podcast host. Find out more about me (including contact details) by clicking this text.